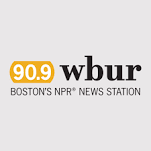 Entries are open now for WBUR's annual Daniel Schorr Journalism Prize. This award goes to public radio journalists who are 35 and under. The deadline for submissions for the 2017 Daniel Schorr Prize is rapidly approaching! All entries must be received at or before 5 p.m. EST on Friday, March 2, 2018. The selected Daniel Schorr Journalism Prize winner will be honored at the annual WBUR Gala on June 8, 2018.